A statement by the National Public Relations Officer of the NCS, Wale Adeniyi, said that the seizures consist of 1,803 (One Thousand, Eight Hundred and Three) cartons of the banned products confiscated in the operation. He said that most of the seizures were made when commercial vehicles conveying the products were apprehended by Customs Officers. According to Adeniyi, a significant number of the seizures were made on the Iyafin Badagry waterways on the Lagoon that stretches through the Nigeria – Benin Border. A breakdown given in the statement showed that a total of 975 cartons of frozen poultry products were seized by the Federal Operations Unit, while the Seme Command made a seizure of 461 cartons. Seizures made by the Western Marine Command were 110 cartons, while those made by the Oyo/Osun Command were 247 cartons, making it a total of 1,803 cartons, the statement showed. 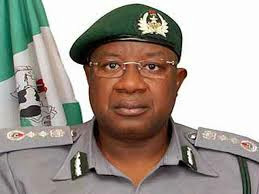 He said that in making an assessment of the operation in its first week, the Comptroller General of Customs, Dikko Abdullahi, acknowledged the support of border communities in effecting the seizures. He said that Comptroller General commended the communities for obliging the Customs patrol Officers reliable intelligence about the activities of poultry products smugglers and cold room operators. Adeniyi said that the Comptroller General urged hotel and restaurant owners, fast food outlet operators and barbecue sellers to shun smuggled chicken, noting that the protection of the Nigerian poultry sector is the responsibility of all.